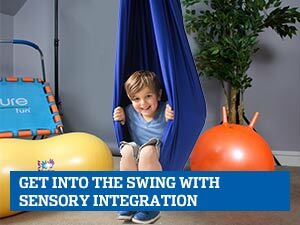 What is the age for the Sensory Rooms? Age 3+ with adult supervision. 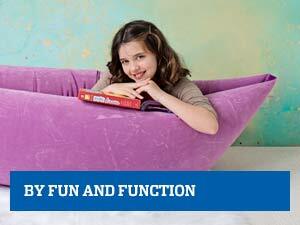 Does Fun and Function handle the installation? Depending on location and timing, Fun and Function can handle installations for an additional fee. Please contact us to find out if we can install your system. How many children can use the Sensory room at the same time? The number of children depends on the size of the room, the severity of the special needs and the staff-to-student ratio. In some situations, an entire class comes to the Sensory Room, or small groups of 2-4 students are there at a time. Can you provide some examples of how this room is typically staffed? Some schools hire an individual to train and oversee all activity in the room, whereas other schools have a staff member accompany the children, and sign in to use the room. Staffing can be handled in many ways depending on the school’s needs and resources. Have any schools obtained grants to fund the Sensory Room? Yes, funding is available from many different sources. 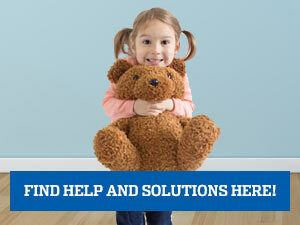 Call us and we’ll see if we can help you identify a grant opportunity. Can you provide an example of how this room is used successfully? Teachers have reported a huge functional difference when students use the Sensory Room right after getting off the school bus, before transitioning to the classroom. We only use programs that are evidenced based and aligned with RTI (Response to Intervention Principals). How does this program fit in with that framework? There is much evidence to support the components of the ActiveMind School Partnership program. Research indicates that movement has a positive effect on learning. Chewing and fidgeting also are positively correlated with increases in attention. Children with the ability to engage in self- regulation and self-determination are more successful in the classroom and in life. To learn more, download the Case Study of a primary school that experienced success in student behavior and learning progress. Is Break Box for the entire class or for students with specific challenges? Toss a bean bag each time students ask or answer a question. Sharpens coordination and focus. Work out with Space Explorers or Calm-and-Crawl Tunnel to strengthen muscles and increase alertness. Take a two-minute break with different activity stations: one group plays catch with hand-eye coordination scarves, one group races to find the most pieces in the Discovery Putty, one group buttons, zips and snaps, and one group uses the foam roller to wake up or de-stress. Set goals to increase endurance e.g., for hands that fatigue easily, encourage child to roll or punch putty, and see if child can write or draw for a minute longer each time. Schedule 3-5 minute sensory motor breaks between subjects so students can benefit from 5-7 short breaks each day. 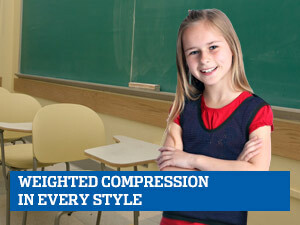 This helps to level the class, ensuring focus and concentration for all. Does it create tension or jealousy if one child is given the activity but not the entire class? No. In our experience, Break Box can reinforce a culture of respect for individual needs. Once you explain the purpose, children are motivated to do it themselves and/or to support others. Encouraging students to be considerate and mindful helps everyone thrive. 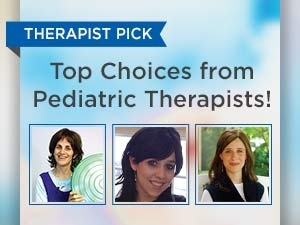 How can I prevent these therapy tools from becoming a distraction? Use the tools as a means to improve the outcome. For example, putty can be a distraction if it doesn't serve a purpose for that student. However, a student who needs to fidget or wake up muscles will experience a therapeutic benefit. Remember to set goals too. For example, if a student usually tires after three minutes of writing, see if rolling or punching the putty can produce a better outcome, such as five minutes of writing. In which way is Break Box a preventive measure? What if the tools in the Break Box don't work for our class? No one wants tools to simply gather dust. Fun and Function offers training and ongoing support to help you and your colleagues observe and discuss what's working and what's not. Sometimes a simple swap of items among teachers can make a difference for certain students. Sharing strategies for how to use specific tools more effectively can have a big impact. Is there research data that quantifies the value of active learning in the classroom? Yes, according to seven independent studies involving elementary school students, regular physical activity breaks during the school day may enhance academic performance, focus and behavior in the classroom. After exercise, brain-wave readings showed that children with ADHD were better able to regulate their behavior and focus. All the children showed scholastic improvement after brief periods of exercise (see details in our Activity Guide). Below are several links to research data and articles about the experiences of regional schools. Fun and Function can also provide case studies from clients upon request.